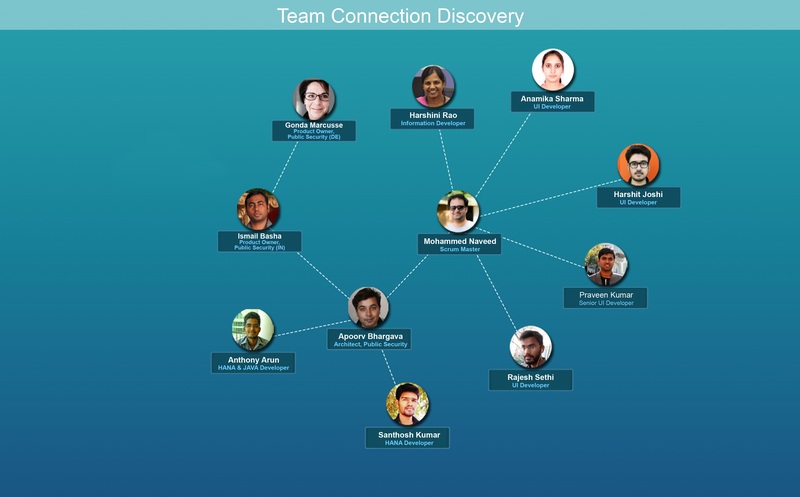 SLN Spotlight_SAP Labs India: Connecting the dots with SAP Connection Discovery!! We know that nothing in the world stands by itself. Every existing object is a link in an infinite chain and is thus connected with all the other links. If we try to find out connections between every object, we will end up with a web of infinite objects and links. We can imagine the complexity to analyze this data and to figure out the meaningful information. However, the complexity of this problem can be brought down, if we visualize the data in a simple way. 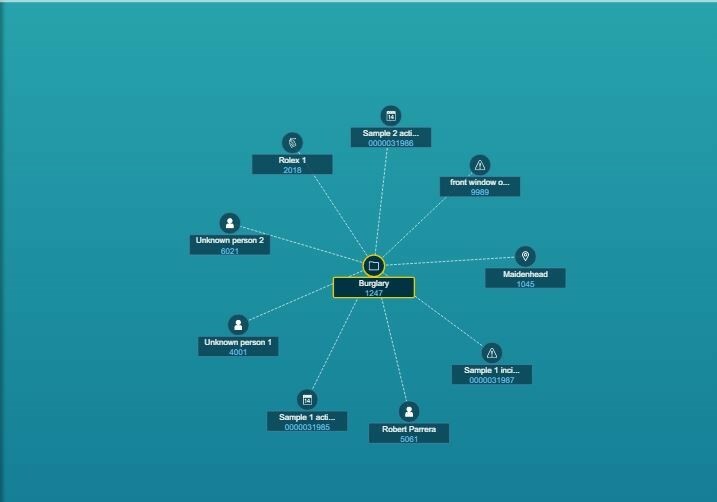 Connection Discovery is a generic visualization tool which solves the above problem. This blog gives you a glimpse of ‘why’ Connection Discovery is the first choice for solving such problems and how it changes the way user visualizes data. Connection discovery is fairly in line with SAP’s ideology of “keeping things simple”. Connection Discovery is a feature rich product at the same time it doesn’t overload with the paradox of choice. Be it an experienced user or a newbie, getting used to the application is amazingly simple. This is achieved by the excellent design of the application. The key here is to minimize the gap between how the user expects to complete a task and how the application allows the user to do the task. The “3 step phenomena” is the real game changer. The home page of the application contains only a search bar. With no other unnecessary component or feature on the home page, the user can stress on minimalistic approach. The Connection Discovery search is powered by SAP HANA search engine. Additionally, the capability of FUZZY Search makes the life easier for the user. The fuzzy search is a technique of finding the results that are likely to be relevant to the search argument. The Connection Discovery search also supports wildcard characters, which can be used to fetch similar results. Network view shows the relation between the objects in connected graph form, whereas the map view is based on the geolocation of the objects. UI design is an art and science altogether, Twitter’s pull to refresh and Apple’s pinch to zoom, we have seen some incredible developments in the field of user-interface over last decade. The compelling UI of Connection Discovery makes the user fall in love with the application. Since the core motive of Connection Discovery is, visualization of data, UI design reserves the highest priority. The designers have used appropriate UI5 controls in the application, keeping in mind the convenience and comfort of the user. On Network View of the application, user can do a ‘select to explore’ on one or more objects. The exploration also brings out related objects of the selected objects. The relation between the objects is shown quite elegantly in the form of a graph which makes it very easy for the user to do the analysis. Locations; where the product is exported to. Clients; who are using the product. The current market value of the product. etc. Above results will be in the form of objects connected to the product, which can be explored further to get more details. For example, if a particular client is using the current product, what are the other products the same client is using. We all have used maps while navigating to some location. A map is a symbolic depiction emphasizing relationships between elements of some space, such as objects, regions, or themes. Map view lets us use the geographic information of the object to visualize, analyze and interpret it and understand the relationships, patterns and trends. For example, a security researcher, with the help of geographical data can interpret the regions, which are most hit by “WannaCry Ransomware”. The Map View of the application is powered by ESRI, a pioneer in problem solving using Geographic Information System. It features multiple flavor of maps (street, terrains etc.). It also supports different layers (third party services) on top of maps. These can be useful to get more insights about the data. 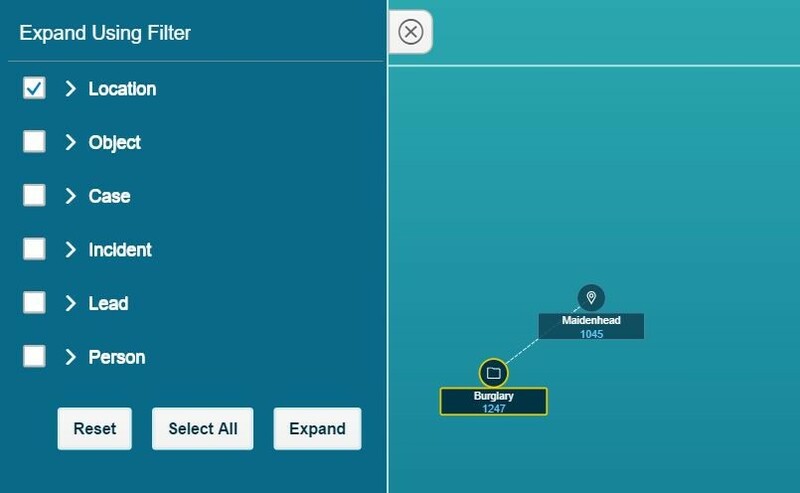 Connection Discovery provides a feature to expand using filters. Filtering the data makes results more efficient and concise. The timeline feature of the application lets user visualize the data between two instances of times or at a particular instance of time. Connection Discovery gives more power to the customer, giving the customer, freedom to customize and choose how the application should behave. By providing, an option of configurability, the creator of the application has put the ball into the customer’s court. You can configure the application according to your needs. The simple configuration interface of the application leverages the user with various options to select from. The interface is very well segregated into logical sections. Another step in end user empowerment, the Plug & Play capability of the Connection Discovery allows the user to plug-in different data sources. The feasibility of using different data sources has made the application a completely generic product. Dataset of any domain which follows the object-relation model is a strong candidate for Connection Discovery. Let’s hear from the makers of Connection Discovery…. Interested to find out more? Visit here for more exciting stuff about Connection Discovery. Please reach out to us to find out more on this great application by replying directly or post a comment below.